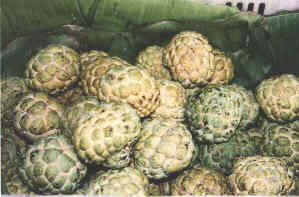 The durian announces its presence in the markets with a distinctive, highly pervasive aroma. 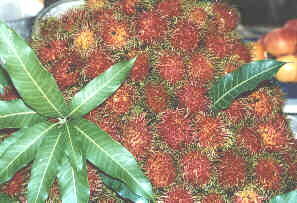 To Balinese, the stink is a welcome odour, for they regard durian as the king of fruits, a delicacy that is well worth the comparatively high price it commands. 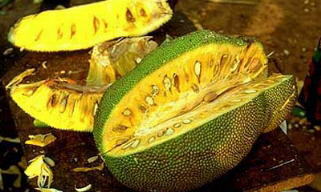 The jackfruit is the shape of a large melon. 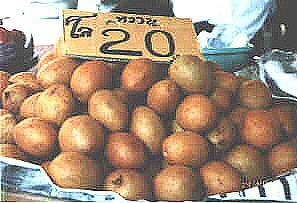 The fruit has a grey skin, and contains a great number of pips or kernels which are about the size of a pigeon's egg. 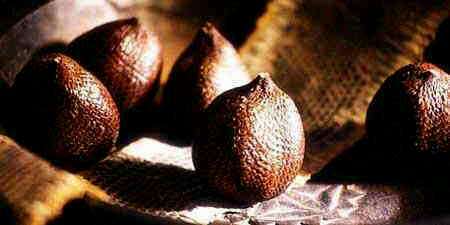 These, when roasted, taste like chestnuts. 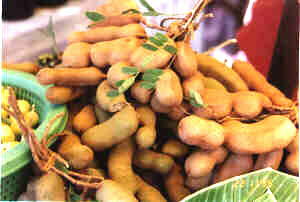 The fruit is yellow and succulent, of a sweet taste and powerful smell. 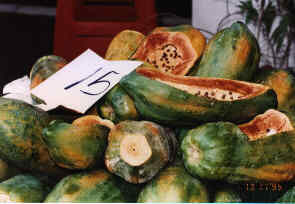 Originally a native of Mexico, the papaya has been grown in Southeast Asia since the 16th century and the long yellow or orange fruit, rich in Vitamins A and C, also aids digestion. 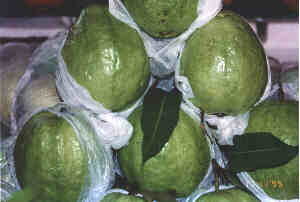 The ripe fruit is often eaten with a few drops of freshly squeezed lime juice and when blended also makes a refreshing drink. Like an apple, the starfruit can be eaten skin and all, but you may want to cut away the slightly tougher ridges of the five-sided fruit before you slice it. The taste is slightly tart, but pleasant and refreshing. 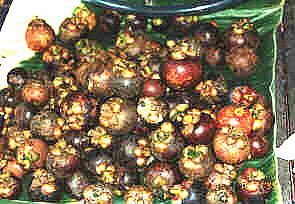 In Bali, the fruit grows nearly everywhere and there are many different starfruits that vary in size and sweetness.